With Valentine's Day nearly upon us, hearts are everywhere. So this week is a good time to think about the hearts that beat inside us as we observe Congenital Heart Defect Awareness Week. 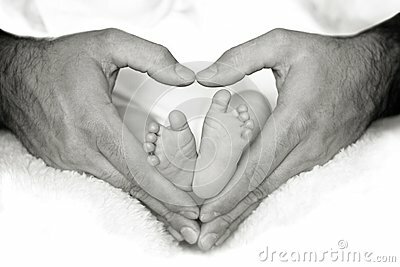 Did you know 1 in 125 babies in the US is born with a congenital heart defect? It is the most common birth defect and occurs more often than spina bifida, Down syndrome and hearing loss. According to Little Hearts, Inc., a national organization dedicated to providing support and education about this issue, congenital heart defects take the lives of twice as many children as childhood cancer. The Centers for Disease Control and Prevention (CDC) reports that 1 in every 4 babies born with a heart defect has a critical congenital heart defect. Babies with a critical congenital heart defect need surgery or other procedures during their first year of life. The CDC says that, typically, these types of heart defects lead to low levels of oxygen in newborns and may be identified using pulse oximetry screening at least 24 hours after birth. Doctors at St. David's Women's Center of Texas in Austin and other hospitals have implemented this special screening for every newborn delivered in the hospital. In an interview with dailyRx News, Annette S. McCormick, medical director of the Neonatal Intensive Care Unit at St. David's Women's Center of Texas in Austin, said this screening is the first step toward identifying any problems. If a child's oxygen levels fail this screening, he or she is then referred to a pediatric cardiologist for an echocardiogram — which uses ultrasound waves to produce an image of the heart. Check out the dailyRx News video for the full story.